See the University Newscenter for more news from the School of Arts & Sciences. Saccharomyces cerevisiae, or brewer's yeast, has been used to make beer for thousands of years. To reconstruct the history of modern ale strains, Rochester biologist Justin Fay and his colleagues sequenced the genome of modern brewer’s yeast. 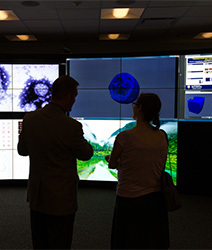 Data science is the centerpiece of the University of Rochester's five-year strategic plan. Rochester researchers plan to continue to harness the potential of data in ways that will transform the 21st century and place the University as a leader in the field.